Roadblocks and vehicle checkpoints were also held and resulted in the issuing of 20 fines to the value of R22,500. 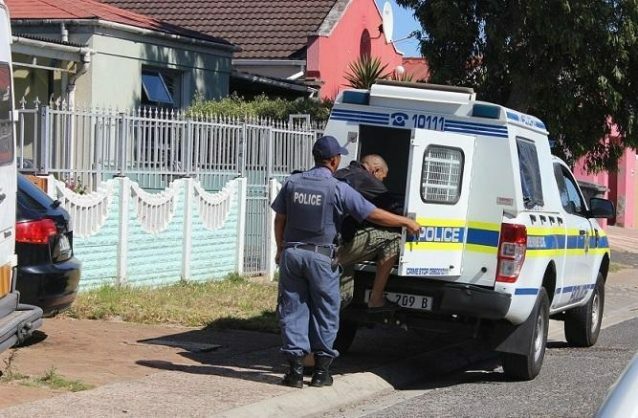 Police in the Mitchells Plain policing cluster are working hard to reduce crime in the area and have made considerable progress this week, Western Cape police said on Saturday. “Focusing on a safer and peaceful festive season, police in [the] Mitchells Plain cluster are working around the clock to eradicate crime and bring the perpetrators to book,” Captain FC van Wyk said on Saturday. Cluster stations included Lentegeur, Strandfontein, Philippi, Grassy Park, Lansdowne, Steenberg, and Mitchells Plain. A total of 51 crime prevention operations were held this week throughout the cluster, he said. Four people for whom warrants of arrest were issued were arrested during tracing operations. The warrants were issued for crimes involving armed robbery, housebreaking and theft, and contempt of court. Roadblocks and vehicle checkpoints were also held and resulted in the issuing of 20 fines to the value of R22,500 for various road traffic offences. All road users were urged to refrain from driving while intoxicated as they posed a danger to themselves and other road users, Van Wyk said. In terms of dangerous weapons legislation, police action resulted in the arrest of a 26-year-old man at Calypso Square in Mitchells Plain when police confiscated a knife from him. Conducting “stop and searches” formed part of the high density crime prevention operations this week. At a primary school in Eastridge in Mitchells Plain, police confiscated a 9mm pistol from a 12-year-old pupil after it was reported that he was threatening other pupils. The pistol was traced to Polokwane where a robbery was reported during 2007. Police patrolling the shopping malls on foot, including the Town Centre in Mitchells Plain, scanned several people on a mobile device to check their status and whether they were wanted for any criminal activities, Van Wyk said. Goss said police would continue clamping down on crime and criminals. Police would maintain their zero tolerance approach in combatting and investigating crime. He commended his officers for a job well done, as well as the community for their involvement in reporting crime and criminals. Goss further appealed to communities to use the “rewards system” police had in place. Rewards in the form of money were given for information on crime and criminals. Anyone with information on crime could call the Crime Stop line at 08600-10111 or their local police station. All information would be treated as highly confidential.